IRL*in real life with Jamie Jo: Am I lost? How do you keep from losing “you”? 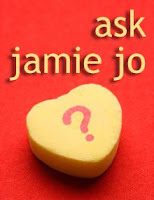 This isn’t technically an “Ask Jamie Jo” question, but since no questions were submitted before our editor retreated to Dubai, I will address this very complicated issue that I’ve been mulling over for several months. An e-maginary * (refer to Jamie-Jo Speak in sidebar) friend in Africa asked this on a different online forum, but I’d like to open the discussion here as well. Obviously many of us were formerly identified with certain occupations, roles, hobbies, and personality traits that have shifted or become hidden on the mission field. In one of my very first posts on this blog I shared about my 20-plus years of living in obscurity. Back then I did feel that the very essence of who I am had been completely stripped away. Even my southern drawl was becoming less pronounced as I mingled with a wider sampling of English speakers. I guess what I’m saying first is that yes, it is a process of dying to self and becoming almost invisible. For years I was Jim’s wife, missionary, and “mother to many” without much of a profile to call my own. During that season, though, I was changing into a new me. Hopefully it is an improved, upgraded version, fading on the outside, but subtly shining from the inside out, with or without my old panache. Rather than giving you a bunch of tips for how to keep from “losing yourself” (which might include helpful suggestions like digital scrapbooking, journaling, and using the creative gifts God has given you), I’d rather add a question of my own. If you do happen to lose a bit of yourself in ministry to others, would that be such a bad thing? Yes indeed. Why would you want to keep that? Join me today in lifting up those attending the conference in Dubai, that they would be particularly encouraged as they serve under the radar, purposely hidden. We won't likely see a slide show with photos of these dear women, but let's keep them in our prayers. Thanks for another great post, JJ! This is something that I have often thought about, and always wondered why people find it so terrible to "lose one's identity". I am anxious for my identity to be lost in Christ. And, for the record, I was criticized for marrying "young", before I had "reached my full potential". At the time, I knew I had met THE person I wanted to spend the rest of my life with, and wondered why our lives could not be shaped together to OUR full potential. In some places, I am known as "Thomas'" wife, but really, that is okay with me. People who have not taken the opportunity to know me better (or who have not had the opportunity) do not have any affect on my position in life--or in Christ. I know I am being changed for the better as I bump along life's road, getting all my rough edges knocked off. I sometimes wonder if the missions community hasn't swung the pendulum too far into our self care and in so doing lost the do or die passion necessary for reaching this world. Just thoughts...no answers...no judgements...just wonderings. There have been many "me"s. At first my identity was as my father's daughter and as MK. Then I chose a college where my Dad was unknown. Suddenly, I had to find out who I was. After marriage I was my DH's wife. . . then Mom, teacher, tutor, "Profe" . . . If I tried to hang on to the past me-s I wouldn't be effective now. God has us change and grow and has a purpose for each "etapa" (shoot, can't think of the English -- stage? time? era?) in our lives. The point is to search out, "What does God have for me to do now? Where is He leading me in this next step (or half step)? How does He want me to change to become more like Him?" My wants/desires/perceptions are not nearly so important as seeing with His eyes. @Lorinda, I like the visual image of getting bumped along life's road. Since many of the roads here are unpaved, including my own, you'd think I'd be on the fast track for getting those rough edges smoothed out. @Shilo, I have asked myself the same thing many times. Member care is invaluable when it is truly needed, but sometimes self-care can just be another excuse to look at our own interests too much. Balance is what we all need. @Beth: "If I tried to hang on to the past me's I wouldn't be effective now." Yes, exactly. I, too am trying to minimize my own desires and perceptions in order to see with His eyes. I think Beth has a lot to say in her stages of life. Who I have been at other times has been different than who I am now. God has different plans for different times. I grow with each step... someone once said to think of yourself as a multi-faceted jewel... many sides, many angles and light reflecting cut sides. That was a nice picture. I've found when I've tried to hang on to something that made me "me" when God was ready to move me on, I got stunted or paused in growth and usefulness. Shilo - it is an interesting balance. I've seen groups and even within our own group times where there is sch a focus put on self-care... but then I've seen the flip side, too... where wounded are left to flounder and trauma victims are told "tell if you need help". We suffered this year because we were too stunned and confused after a trauma to even know what type of help or if we needed help or how to ask or...? So we went without in a situation where it was desperately needed. Someone should have stepped in to care and protect then, but no one did. When life is normal, we need little help to care for ourselves. When trauma hits, we need someone else to carry that job. It is a thing of balance, for sure, and wisdom. Ellie, once again I appreciate your wisdom and perspective here. I love your friend's picture of the multi-faceted jewel. So sorry about the trauma you've gone through. There is no excuse when the body leaves its wounded uncared for. My prayer is that we will all discern when and how to ask for help when we need it, and that we will discern when and how to help even when others are too stunned to know how to ask. "When life is normal..." you say. Haha. As if there were such a thing. I love the book title, "Normal is Just a Setting on the Dryer." Yes, let's do lift each other's burdens. My husband and I have found our "unique challenge" in being on the field, told by our sending agency one day that we are no longer a "fit" for them, yet not having permission from God to go anywhere else. It is a strange thing to be truly homeless (emotional rather than physical sense), alienated from other fellow soldiers, because they don't seem sure what to do with you if "the office" dumped you. I am amazed at God's faithfulness, for even in the midst of my abandonment He is there. I don't know if I haven't lost myself. I don't know where I belong on this earth, but He does. Sometimes when my kids are calling me I'll tease, "I don't know where I am; please help me find me!" Then their laughing faces appear, and I feel "found" by those who love me. Sometimes when I ask God where I am, He doesn't show me the landscape, the constellations, or even the map, but just His own face. That's all I could ask. What a beautiful comment. I cannot imagine the displacement you are experiencing. What an amazing testimony of God's goodness. When all is stripped away, He is always more than enough. As women we do tend to love our road maps for the future, though, don't we?